I’m more than a little nerdy when it comes to books and reading. In fact, it’s possible that I take the project of reading a bit too seriously. Like Erasmus, whenever I have a little money, I buy books before everything else. Likewise, whenever I have a little time, I generally prefer to spend it reading. For all of my seriousness as a reader, I’ve actually never attempted to work out an overarching philosophy for why I believe reading is intrinsically valuable, though I do believe in this idea very strongly. While I don’t necessarily think that the act of reading has any automatic effects on an individual’s moral compass or ethical capacity, as many wish to claim, I do think there’s something to be said for the personality type that inclines itself toward a more expansive mode not just of knowing but of seeking. In this sense, reading is like critical thinking. Which is to say that though both skills can be taught, real readers and critical thinkers truly inhabit those skills at all times, not just when called for by external necessity. In other words, reading and critical thinking are not acts so much as modes of being. “Real” readers are innately curious, and thus attune themselves to the way books open worlds and thereby transform our otherwise limited cosmos into a living multiverse. This is why, to serious readers, libraries represent nigh on infinite spaces that extend vastly beyond their physical reaches. This is also why true book nerds — the ones who can’t resist poring over their friends’ and acquaintances’ collections — tend to believe that a person’s individual library almost literally “speaks volumes” about them. Since I’m always deeply curious about what others are (and have been) reading, I’ve created these pages as a gesture of reciprocity. For whatever reason, I’m also interested in creating a record of my own reading habits. I started doing this a couple of years ago, and I find it fascinating periodically to look back and see around which authors, ideas, or places my mind circled at any given time. I also invite you to explore my personal library, which I catalog online at LibraryThing, an amazing resource for serious readers—and particularly for those readers, like me, who have conflicting and ever-changing ideas about how to organize one’s library and therefore use metadata to “shelve” individual volumes in several virtual sections simultaneously. 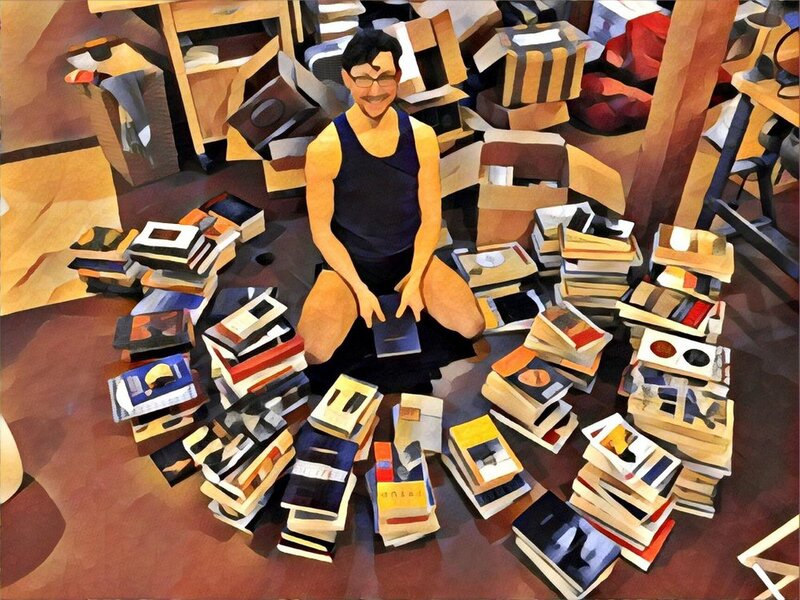 To boot, LibraryThing connects you to a massive community of other readers (e.g., it weighs the volumes in your collection against those of others and links you to your most similar libraries). It also boasts a number of other intriguing features and provides unusual statistics about your library. I know, for instance, that if I arranged all my books into a single stack, the pile’s height would be somewhere between that of the Taj Mahal and Big Ben. I also know that it would take about 78.6 U-haul book boxes should I ever have to move my library (god forbid!). Please feel free to wander the stacks of my digital library here.